Foot Care Archives - Healing Feet - NYC Podiatrist & Foot Doctor. Injury to the ankle and foot are among the most common basketball injuries. For the past few years, players from the Brooklyn Nets have suffered an inordinate amount of foot, toe, and ankle injuries. In fact, according to NothinButNets.com, no Net played in all 82 games for the 2016-2017 season and Spencer Dinwiddie led the team in games played in 2017-2018 with 80 of 82. Looking back, here are some of the team’s worst lower extremity injuries in recent history. Podiatrists at The Center for Podiatric Care and Sports Medicine understand the love-hate relationship you likely have with your favorite pair of high-heel shoes. You love them because they complete your outfit but you hate them because, by the end of the day, your feet are begging you to take them off. We also understand that there are times when you wear high heels, even through the pain. While we can’t promise ways to eliminate pain from wearing high heels, here we offer tips for reducing foot pain from high heels. There’s nothing like being surrounded by a group of people who can motivate you to do something you love. That’s probably why many runners here in New York City look to join running clubs. 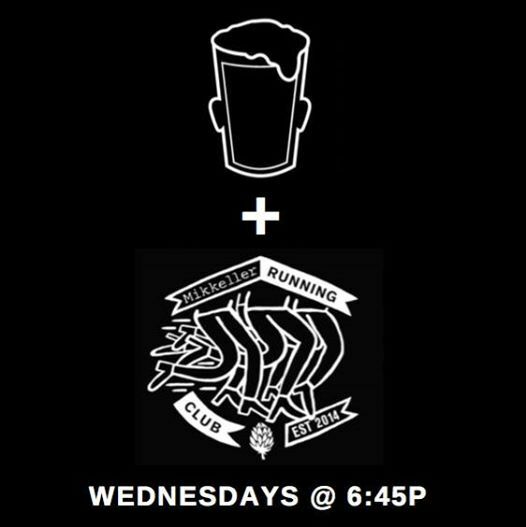 Here in NYC, there are clubs for competitive long-distance runners, as well as hobbyists who like to socialize and meet other fit New Yorkers. Niche groups include African-American women runners, LGBTQ runners, and 50+ silver runners, with new groups added each month. At The Center for Podiatric Care and Sports Medicine, we see tons of runners, especially leading up to the New York City Marathon. We often recommend this active pursuit to our patients—as long as they’re willing to take good care of their feet and invest in a good pair of sturdy running shoes a few times a year to prevent foot injuries from running. Diabetic Foot Ulcer Treatment: Are Smart Socks The Cure? Some 30 million Americans live with the fear of potentially losing a limb to diabetes. People with normal sensation in their feet would know to stop if a blister was forming. However, diabetics rarely notice a problem until they have a gaping hole in their foot. The oversight is largely due to a comorbidity called “neuropathy,” which causes them to lose sensation in their feet, according to Dr. Josef J. Geldwert from The Center for Podiatric Care and Sports Medicine in New York City. Thankfully, new technology has made improvements in diabetes foot ulcer treatment. “A lot of emerging technology is focusing on the ability to electronically alert a diabetic of trouble with their feet when the usual pain sensors just aren’t working,” he says. Through in-house gait analysis, doctors can tell if a diabetic is likely to develop an ulcer due to pressure imbalances but it would be even better if patients could tell something was amiss at home. Believe it or not, there are socks designed to combat this problem. Patients Ask: Could Mucinex Be Used to Relieve Foot Cramps? A reader of the Hanford Sentinel contacted the doctor worried about severe foot cramps from inhalers and nebulizers prescribed for COPD. “I noticed, however, that when I take Mucinex (guaifenesin), the foot cramps disappeared completely,” the reader explained, wondering if it was safe to continue using Mucinex for cramp treatment. This isn’t something we come across often at The Center for Podiatric Care and Sports Medicine, but any solution that may relieve foot cramps is worth exploring. There are shoes that are said to defy gravity and relieve foot pain but have you ever wondered what it would feel like to walk on the moon? Sadly, only 12 men have ever done this. Admittedly, even if commercial spacecrafts like those designed by SpaceX take off, you may think twice before becoming one of the guinea pigs in these early experiments. Fortunately, if you’re at least 13 years old, in relatively good shape, and not pregnant, you can take a very realistic virtual reality walk on the moon right here in New York City! As podiatrists, we think that could be a real treat for your feet!